AI eats data for breakfast. If your data is on pieces of paper around the office, it is not going to help you. When humans are augmented with technology, a lot more interactions with businesses will occur at a completely different layer than we are working with today, says futurist Simon Raik-Allen. In the past two decades, the influence of digital technology has transformed every aspect of business and daily life, says Raik-Allen, the chief technology officer at MYOB. And, as he noted in the latest MYOB report on the future of business, “the pinnacle of what we are aiming to achieve through this technology is artificial intelligence”. “We are getting better and better at understanding the human brain and copying what it does. We are creating computers that are not only smarter, but able to think like humans – only at exponentially faster speeds and with instantaneous access to near limitless sources of information. 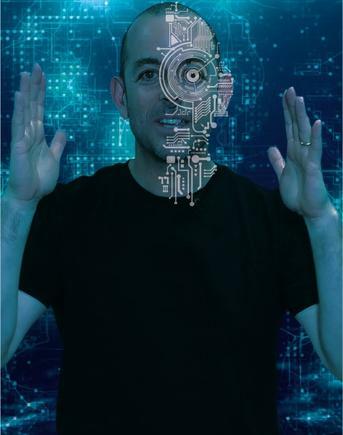 In the MYOB report he forecasts the inevitable rise of the augmented human, where “biology and technology will blend to offer a range of physical and mental enhancements”. “What a business needs to do today is to start to prepare their systems” for artificial intelligence, he says. “Get online, get digital, import all your books, and bring them all online. He says this advice covers businesses of all sizes. “You must get a website,” he says, noting how a recent MYOB survey on SMBs finds a low uptake of websites in this sector. “Start there, just embrace it so people will find you online,” he says.